Starting a Business - Ray & Co. Business Services, Inc.
- When am I required to pay quarterly estimated income taxes? - Do I need to obtain a Federal ID number (EIN)? - What about state sales and use taxes? - What general types of business expenses can I deduct? 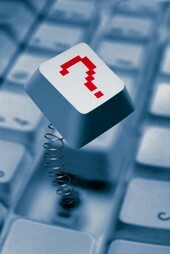 - Which accounting software should I choose? - If I use my car for business, what expenses can I write off? - Can my home office qualify as a tax deduction? - How does the money I withdraw from my business affect my income taxes? - Am I required to carry workers' compensation and disability insurance? - Should I incorporate or form an LLC? - Are there any other tax-related issues that I need to be aware of? If you're looking for answers - contact us! We can also provide you with all of the necessary federal and state forms and applications you'll need to get your business up and running quickly and efficiently. If you're looking for experienced business help - contact us! Starting your own business is still the American dream. Sadly though, many new businesses fail every year. That's because self employment isn't easy. There's much more to owning your own business than tax forms and government regulations. There are bills to pay, customers to satisfy, cash flow to control and multiple priorities to stay on top of - just to name a few. Business planning, budgeting, expense analysis, problem solving ... these are some of the keys to keeping your business afloat in today's volitile global economy. You don't have to "go it alone". Contact us today for more information - without obligation! We love helping small businesses! And we are a locally owned, small business ourselves. We'll start by providing you with the the information and services to get your business up and running, we'll be there with you as you grow, and we'll continue to provide the guidance and support you require in the future.